"For families who care about their children's developments"
Families moving to this area are the one who want the best academic and social environments to raise their children. We decided to move to South Doubleview because we want to send our children to Churchlands Senior High School. It is one of the top ranked public school with a great music program. It has great reputation of focusing not only the academic, but holistic development of its students. I heard from the parents that there children are very happy at school. We picked South Doubleview out of all the suburbs in the Churchland SHS zone is because it has a few large open spaces/ parks/ playgrounds, it will be convenience for our children to join local sport clubs and socialize with others. Doubleview is still affordable comparing to its expensive neighbors (Wembley Downs and Woodlands). We chose Doubleview over Scarborough is because Doubleview Primary school also has a much better reputation and academic results. "Fantastic Family Suburb South of Scarborough Beach Road"
As said before Doubleview really needs to be divided into 2 suburbs, south of Scarborough Beach Rd (which is always referred in the realestate ads as South Doubleview) and north of Scarborough Beach Rd, as the 2 areas are very different. South Doubleview is the ultimate family friendly suburb. Just driving through the streets and you see trampolines and basketball hoops in the front yards of loads of the houses. It is a perfect compromise between beach and city, without the exorbitant price tags of the western suburbs. Due to the location of the suburb, there is basically no through traffic south of Ewen St. Although the new units and town houses in north Doubleview does not suit our family, they will hopefully attract young professionals to the area. An influx of diposable cash to the region will only act to improve the services. The Doubleview IGA is a fantastic little supermarket. "Good spot close to beach & City"
I have lived in the area for around 10yrs now, always found to be a good place to live. We live South Doubleview within walking distance of shops & cafes so quite good if you want to go out for dinner (limited selection) or go to shops. I work in the city & commute on bike 2 or 3 days / week which is about a 30min ride on good cycle paths. My one gripe with area would be as mentioned in other reviews, the number of poorly /cheaply designed duplex developments which seem to be replacing a lot of the older propeties in the area, this being down to City of Stirling Council poor planning regulations, & there money grabbing approach to development, but hey that's another story! "You will love living in Doubleview particularly South Doubleview"
The people of Doubleview are very friendly and it is mainly a family area. 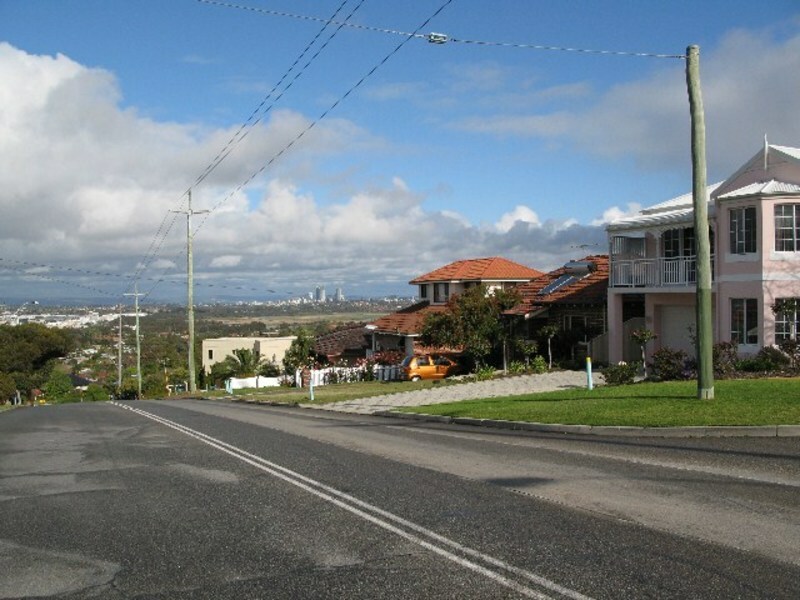 It is basically divided into two sections being South Doubleview (south of Scarborough Beach Road) and North Doubleview (north of Scarborough Beach Road). The South Doubleview area has easy access to a plethora of fantastic schools with something for everyone. Hale School both Junior and Senior is renowned for its superb educational facilities, music programme and the variety of sport on offer. Churchlands High School also has a great music programme and is a great government school. Holy Rosary primary and Newman College are also close by. Doubleview Primary is not too large and has a really great focus on families and education. Loads of food shops, lovely fresh fruit from the fruit shop near St Brigids Tce. Doubleview Bowling Club is a friendly club with lovely facilities. Everyday you see people walking their children to school,or just going for a walk enjoying the area. Perth's best beaches are just a 20 minute walk to the west or a short drive. The north side of Doubleview is a changing face with many lovely new properties being built and offers a large range of individually designed and highly affordable villas and townhouses to suit most budgets. There are more investment properties on this side due to the amount of subdivision that has taken place over the past fifteen or so years but this has really only been good for the area lifting the profile to excellent quality homes. There are still many Homeswest properties however many of these have been built in recent years and provide housing to great tenants who look after the homes. 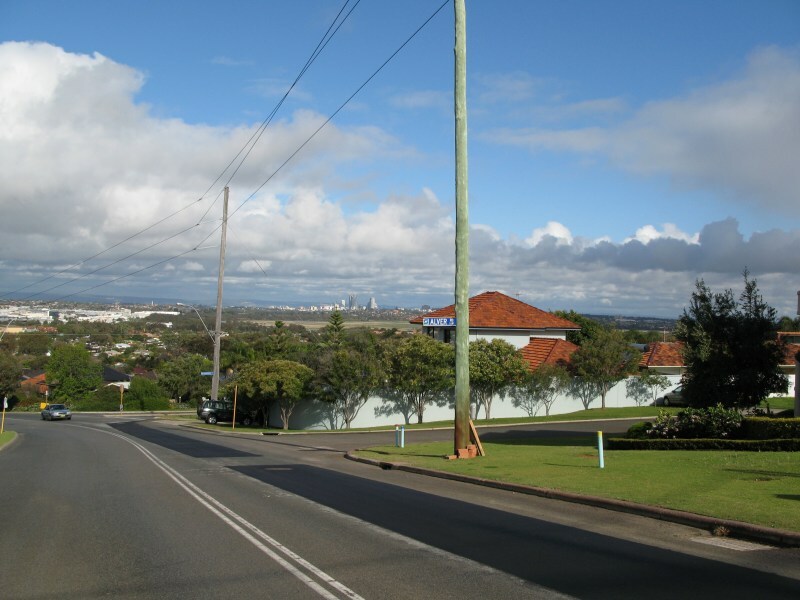 Scarborough Beach Road will always be the great divide in the area due to the high amount of traffic and we think that it would be much better if the area was called South Doubleview and Doubleview as there is a large difference in prices for properties. "Affordable yet close to the city and the best surf beaches"
Doubleview is essentially split in two by Scarborough Beach Road. The southern side is the best and adjacent to excellent schools (Tier 1Hale, Teir 2 Newman, some of the top state schools, Holy Rosary primary school). The southern side is largely being redeveloped with quality homes, most of which have expansive views of either the city, the ocean, or if your lucky, both. Less than five minutes to the beach, 15 to the city, 20 in peak hour, it has some of the best access to the city and environs. Well serviced shopping precincts in adjacent suburbs, as well as all the necessaries within. The northern side is also being redeveloped and has long leafy streets. 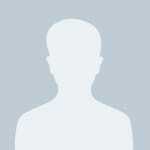 It has lovely parks and sporting facilities (the bowling club is one of the best in WA). The area is very well serviced with medical and dental practises. "It's like tentland....poor quality investment properties scattered everywhere have ruined this place"
Once a genuine working class area, there was significant progress made in the 90's with some great renovations of the older homes but the local Councils infatuation with allowing people to subdivide their blocks and build crappy investment properties makes this place look like tentland. Now full of transients who rent, there are heaps of cabbages speeding around the streets without a care for residents. South of Scab Beach Road is definitely the pick of the bunch but my advice is keep heading south and get into the western suburbs if you intend to live here. "A perfect street to raise a family!" 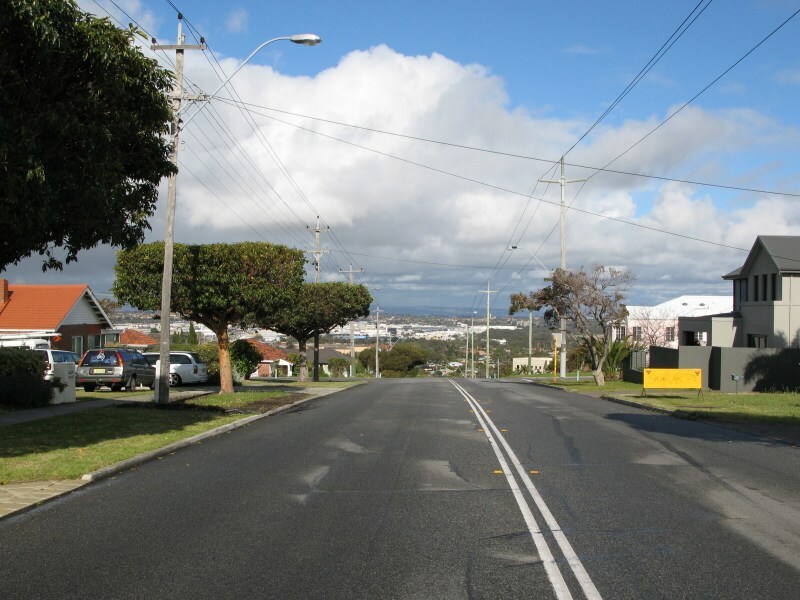 "Beautiful & Quiet street connected Hale School & Bennett Park"
Mindarie v South Lake - residential areas around and which one's better? Im moving to Western Australia and trying to find a good safe suburb to move to. Which street(s) should we avoid to buy a house or live in South Doubleview? How's Sackville Terrace in Doubleview for a location to buy a house? Is there a good surf shop anywhere close to Doubleview? Where is the best cafe for a good Babycino near Doubleview? Where is the best pizza place on Scarborough Bch Rd near Doubleview?